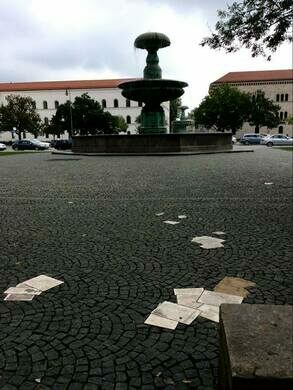 Bronze leaflets appear as though scattered across the square. It’s not difficult to find vestiges of Third Reich history in Munich - after all, the city served as the NSDAP’s official and ideological stronghold for years leading up to World War II. However, tourists are only rarely told the story of the Weiße Rose (White Rose), a group of student rebels led by siblings Hans and Sophie Scholl, who practiced non-violent resistance and were later executed by the Nazi authorities. Today, the Scholl siblings are probably Germany’s best known domestic resistance activists during WWII, though they are little known outside their home country. Most White Rose members were students at the Ludwig-Maximilians-Universität, one of Germany’s oldest and most highly regarded universities. Most of the members had previously been members of the Hitler Jugend or the Bund Deutscher Mädel, and their exposure to Nazi policies and ideologies gradually led them to reject the tenets of National Socialism being imposed upon German youth at the time. The group’s actions consisted mostly of distributing inflammatory leaflets to the German intelligentsia, as well as spreading political graffiti throughout Munich and other southern German cities. On February 18, 1943, members of the White Rose, including the Scholl siblings, distributed leaflets in the university’s main atrium (now home to the LMU School of Law), and were arrested by the Gestapo and interrogated. They were executed by beheading on February 22. However, their final leaflet was smuggled to Allied troops and later dropped out of planes across Germany, leading to posthumous recognition of the group’s activities in the postwar era. 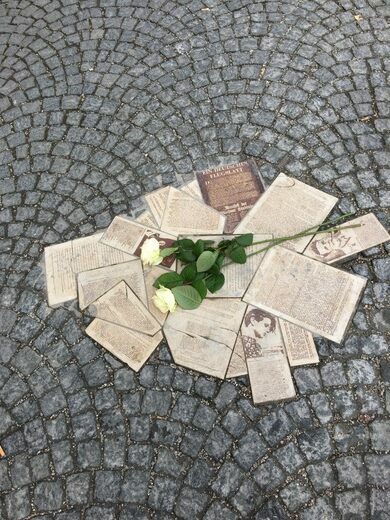 There are a number of memorials to the White Rose scattered throughout Munich, though the most powerful reminder of their deeds can be found embedded in the cobblestone pavement in front of the university building where the founding members were originally arrested. 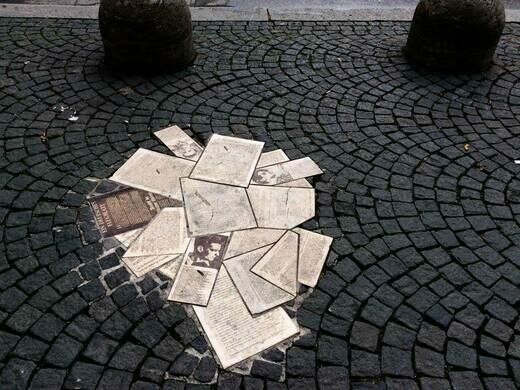 Bronze replicas of White Rose leaflets are scattered haphazardly across the sidewalk - Sophie Scholl is said to have thrown her remaining leaflets into the air upon spotting the Gestapo coming to arrest them. 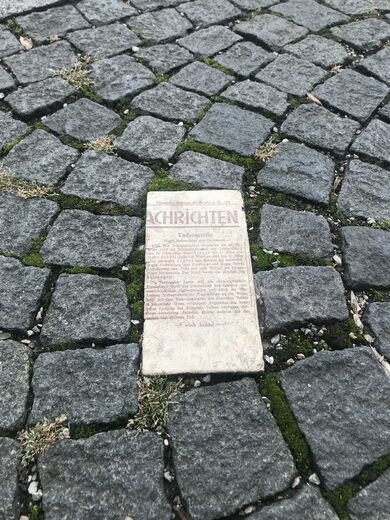 The square in which the memorial can be found now bears the name “Geschwister-Scholl-Platz” (“Scholl Siblings Square”), and a bust of Sophie Scholl can also be found inside the law school atrium. Though rarely traversed by most tourists visiting the city, the square and its memorials serve as a chilling yet inspiring reminder of the ideological strife that divided Germany during the Third Reich era.